I had great intentions for January, but got addicted to rewatching Friends and RuPaul's Drag Race on Netflix and kinda forgot about audiobooks altogether. That being said, I read 10 books in January and abandoned one. I also used the library almost every week (well, at least 3 out of the 46 weeks in January) so I was delighted with myself! 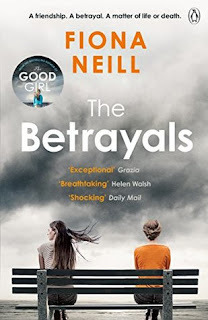 My resolution to only buy 10 new books this year has gone down the toilet, I got some Amazon vouchers after Christmas and have been topping up my Kindle every couple of days when something catches my eye on the BookBub daily email (sign up for free to get a daily email with special offers & sales). All of the covers below are clickable, and should take you to my longer review on Goodreads. I've been trying to stay away from Netgalley altogether because I get greedy and my feedback goes to hell, so I've been clearing the backlog of books I was approved for (how long have I been saying that for? Years, damnit). They're all available to buy. 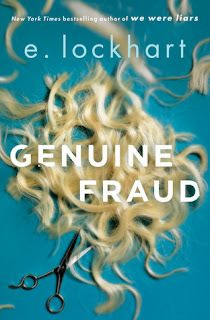 I've liked the other books by this author a lot - The Disreputable History of Frankie Landau-Banks in particular was an entertaining Dead Poets Society-esque YA book about feminism and secret societies. This one, I didn't enjoy as much. It's small (under 300 pages) so I read it in an evening - it's about a woman who is on the run from something, but it's told in reverse. I liked it but I wish I had kept decent notes because I kept forgetting the relevance of certain events. This is a family drama told by a couple of different members of a family. It's based around an event that each of them remember differently, and how those memories rather than the actual event had an effect on their lives. It's good, I could see it as a TV series, but unreliable narrators irk me sometimes and this has them in abundance. It's thought provoking though, and my head almost melted thinking about how people remember things completely differently. It made me question the certainty of my own memories and that really unnerved me! This really isn't the type of book I'd normally pick up - I think I took a chance because I'm trying to read as much about different cultures as possible. This is about two young Mexican boys who witness a terrible crime and have to go on the run. 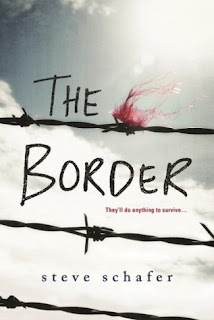 They're trying to make it across the border with their friends, but they face a huge number of perils along the way. It's high energy, fast, full of action from the get-go - and very uncomfortable when you realise that this still happens. Not an #ownvoices novel, but there's a great piece at the end where the author explains why he felt he had the knowledge and responsibility to write it. A non-fiction account of the young women who worked in factories across America as dial painters before, during and after WWI. 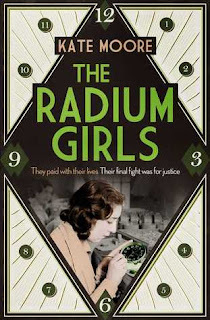 Known for their luminosity (literally, they glowed at night and everyone thought it was glamorous), they soon began to feel the adverse effects of working with radium on a daily basis. With no company admitting any liability, it was up to the girls to band together and seek justice. This is a fascinating and very sad book, but one I'd recommend. 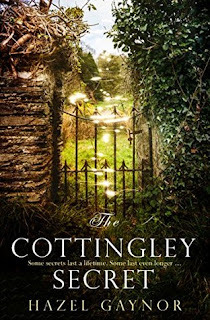 A sort-of fiction, sort-of not retelling of the Cottingley Fairies story. Two young girls decide to stage fairies at the bottom of their garden but it gets incredibly out of hand and attracts the attention of national media. In the present day, a young woman has big decisions to make when she inherits a bookshop in Dublin. This book was lovely, really well written and very comforting, like one of those nice cosy films you'd stumble upon of a Sunday afternoon. Really liked it. This is one of the Richard & Judy book club picks for Spring 2018. It's about a marriage, but it's told from the POV of the husband, which is welcome and unusual. He and his wife are approached by someone who wants them to take "The Pact" - ensuring the success of their marriage. 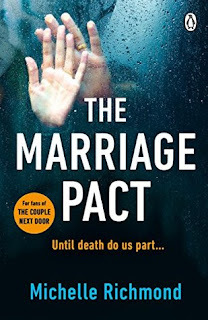 Nobody who has taken the pact has ever been divorced - but there are rules, ones that must not be broken. This book was absolutely bonkers, in a good way. Some of it made me roll my eyes so hard but it was different, memorable, and it was a really unique tale. Loved it. Another pick from the Richard & Judy Spring 2018 selection. 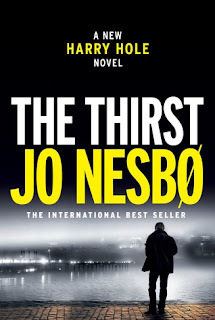 This is the 11th book in the popular Harry Hole series. You don't have to have prior knowledge of the series, this works well as a standalone. There's an investigation going on into some very gory murders linked to a dating website - but do the Police already know the killer? This was full of action, twists, red herrings, and there's a lot going on - but it works, and I liked it, though it was incredibly gory in parts. These are all books I've either had on my Kindle or Shelves for ages, or ones I've bought recently. 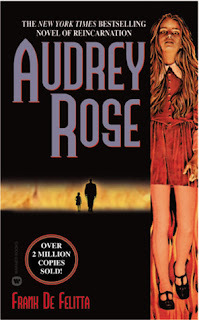 This is good old fashioned horror, similar to The Omen or Rosemary's Baby. Set in the 70s, it's the story of Ivy Templeton, a ten year old girl living with her parents in an apartment in New York City. The parents realise that a strange man is watching Ivy all the time - he thinks she is the reincarnation of his daughter, Audrey Rose. A whole pile of strangeness ensues. I liked this, but there's a court case in here that made me lose the will to read. I did finish it, but skimmed a lot of that part. 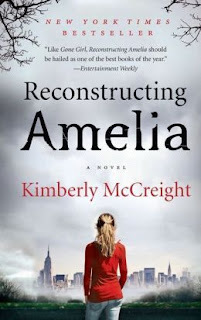 I've read worse books, but I felt like this had such a strong beginning and went downhill towards the middle. Still worth a read if 70's NYC is your thing! The most talked about book during the first week in January for sure - but did it live up to the hype? Unequivocally, NO. Any of the real unknown "juicy" gossip had been leaked prior to publication, leaving for a rambly ranty account of the Trump Presidency. Melania barely features, it's the Steve Bannon show right from the off, and it's by far the most badly written book I've read about Trump so far. I bought it from Amazon, and it was destroyed with typos and grammatical errors. Yes, it was rushed for early publication, but these were mistakes that should have been caught on a first edit, not two days before it was let out into the wild. There's nothing new in here - reading Trump's tweets already shows what kind of person he is, we didn't need an overhyped "exposé" to come to the conclusion that he probably doesn't belong in the position he's in. Get Joshua Green's book instead if you want to learn more about Stevie's influence over Trump. I've had this on my Kindle for so long - it's about the aftermath of a terrible incident involving a fifteen year old girl and the impact it has on those nearest and dearest to her. I'm not sure how much the blurb reveals, so I won't take it too much further - but it's sad, and it's a stark lesson for people to always speak up. I rarely abandon a book (according to Goodreads, out of 665 total books read, I abandoned 17, or 2.6% meaning I finish 97.4% of books I start, useless stat fans). This one though - I just couldn't continue. This has had rave reviews, and I was looking forward to it ahead of the release of the sequel this year. 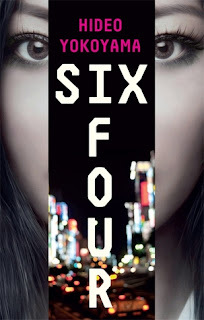 It's a police procedural set in Japan, based on an unsolved murder case. Right before the Anniversary of the case, some information comes to light that may be important - but was it there all along? Sounds great, right? And it probably is, but I just couldn't get into it. It was so long and so wordy - I think that it could have done with another edit, just to cut out pages and pages of non-important stuff. I still wanted to know what happened (thanks, Wikipedia) and I'd love to go back and read it but it felt like wading through pages of waffle just to get to the good stuff. 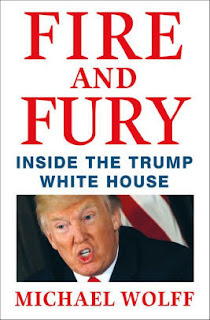 I'm currently reading Fire and fury as well. I think Michael Wolff feels the need to impress readers with how many big words he uses. Sometimes when you strive to sound smart you actually come off as stupid. I agree with you 100%, Cindy! Some of the sentences don't even make sense. Sometimes the best thing to do is to keep it simple!